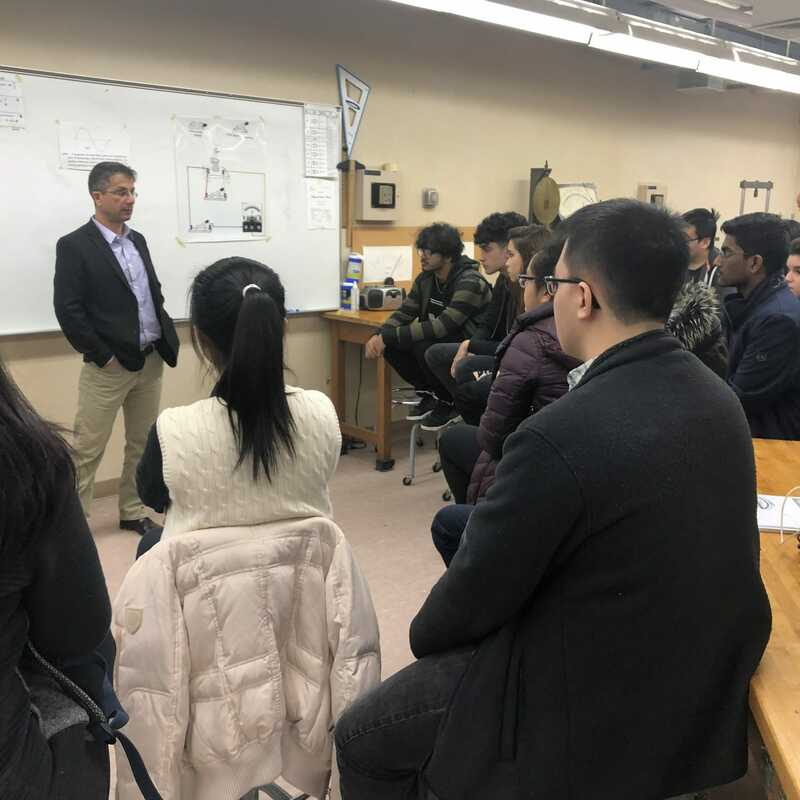 Neo Antoniades instructs high school students at CSI’s electronics laboratories as part of The National Grid Engineering Workshops. High school students on Staten Island and the greater NY/NJ metro area are gaining critical exposure to the STEM (science, technology, engineering, and mathematics) fields thanks to The National Grid Engineering Workshops. The workshops are being funded as part of a $108,000, three-year grant that National Grid Inc. has provided to the College of Staten Island. The program’s focus is outreach to high schools with the goal of expanding the visibility of STEM fields to under-represented students, students who would otherwise not pursue STEM, and students who would not pursue education at a public institution like CSI. About 300 students yearly are exposed to the exciting fields of engineering with a series of mini-lectures, hands–on experiments, tours of instructional and research laboratories, and academic mentoring. The director of the program, Prof. Neo Antoniades, is the Chair of the Department of Engineering and Environmental Science (EES) at CSI, a professor of Electrical Engineering, and an expert in fiber-optic communication systems and networks. About ten high schools are currently participating in the program, and the list is currently expanding. The workshops are organized throughout the academic year and summer. Prof. Antoniades is also the director of the National Grid Scholarship Program that awards a number of scholarships to CSI students with declared majors in STEM. Ten of these students were awarded scholarships on April 10 at the annual National Grid Awards ceremony, which was held on the CSI campus.